I have been sad this past week. Like, crying and unmotivated sad… Because we’re sending the boys to school in the fall. And when I say “fall,” in Alabama, that actually means two weeks from today. My husband and I have decided I need to bring some additional income in. And to do that, I need time to work. And that doesn’t leave much time for homeschool. Our need for me to get a job does not change the passion in my heart and my opinion that homeschool is the best fit for our boys. The whole process of getting them into school has gone as smoothly as it possibly could so far. I have met the boys’ principal and have been to their school and I never thought I’d say this but I’m actually a little excited for them. Just a little ;). As for the boys, we’ve got one who’s excited, one who has agreed to go (this is big because when he first found out he simply said, “No. I’m not going.”) Our oldest is the one I’m most concerned about getting in the building, though…. Hands down, the hardest part is going to be getting ready by the ungodly hour of 7:15…someone pray for us on that one! We have been practicing and our time is getting better, but I know it will still be a shock to the system when we actually have to do it. The other piece of silver lining I’ve found deals with the actual teaching part. When we decided, I felt like a badge had been taken away; like a part of who I am as a mom was chipped off. I mourned the loss of my role as their teacher. Parents are teachers. Bottom line. Whether you do it full time as a homeschooler or not. So no, I did not take all of my posters off the wall. No, I did not pack up my planner or all of my teaching manuals. I might. But not yet. I started to think of “teaching” things I would do anyway, had I never decided to homeschool my children. I would still read and I would still teach the bible. So, all the reading-based curriculum stays. I can still read from their history book, poetry, literature and even science. And all the bible curriculum stays because that is something the public school cannot teach them. As I read over my curriculum plan for the upcoming year and realized that much of it would not go to waste, the sadness got a little easier to swallow :). So what does that mean for this blog? I mean, a third of it is about homeschool. Well, it would make no sense to delete all of my homeschool posts. And like I said, a parent is a teacher – no matter if it’s full-time or part-time. That fact, combined with our need for structure while everyone else is taking fall and summer breaks, means I will continue to post on what I’m affectionately calling Supplemental Homeschooling – or “Supp School” for short. I shouldn’t really claim rights to this title; I googled it and turns out I’m not the only person doing this. I will continue to post on teaching my children as well as our many adventures in the great unknown (a.k.a. public school…). Stay tuned for some exciting times :). Next week we’ll talk about what curriculum I’m keeping. Susan, thanks so much for stopping by! Good luck with your little one starting, as well. It is so hard to watch them grow up, as rewarding as it can be…bittersweet :). Found you on #SITS. I am sure it will be a big transition sending your kids to school after homeschooling in the past. 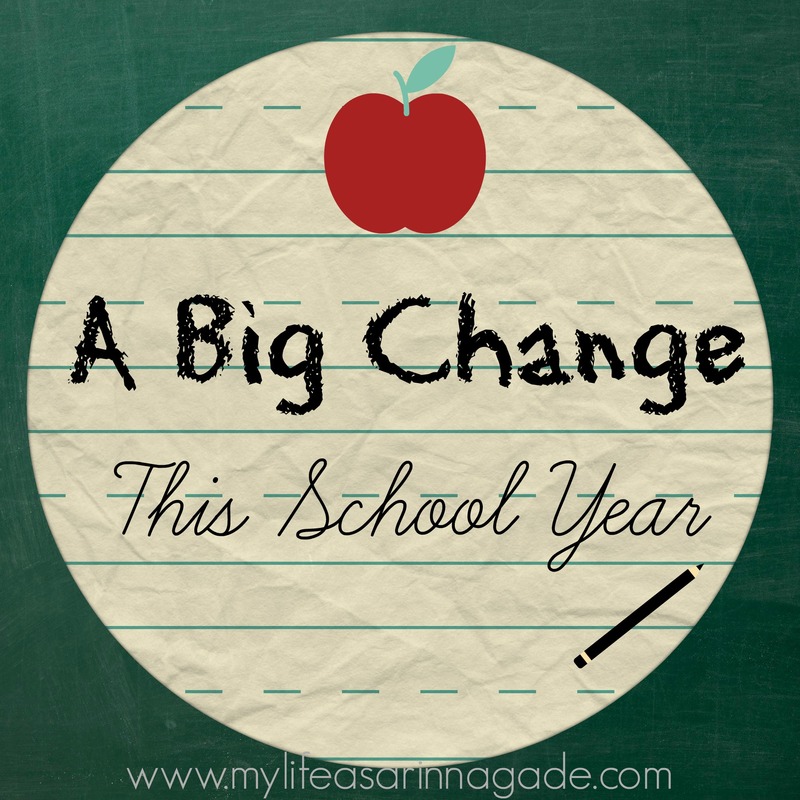 My oldest is just starting preschool this year (I am not planning to homeschool) and even that is a big adjustment! I can’t believe how early your school starts! I grew up in public school and had a girl join us in 9th grade who had always been homeschooled. She was a good friend and ended up being valedictorian at my high school! I hope that it is a great experience for your kids! All change is so hard, but it sounds like you are a wonderful mom and you don’t expect the school to do all the teaching, just a part. You are brave to start this new adventure. I was a teacher in the past, and I would be so grateful for parents like you that continue to encourage kids to learn at home, and support them in their learning adventures. Good luck with your new adventure! Thank you so much! That IS encouraging!! When I experienced the same event many, many years ago I too feared “what will happen if I am not their teacher anymore”. Come to find out they came home from school with so many wonderful ideas and questions the teaching became a full time journey. At 20 and 23 they are still asking questions the teaching continues and the learning never ends. Be encouraged.